Our Freddy Bar Stool strikes the ideal balance between Bauhaus minimalism and Eames' signature elegance. A truly exciting design, the soft leatherette seat features a chrome-finished steel frame with a perfectly symmetrical low-loop footrest. 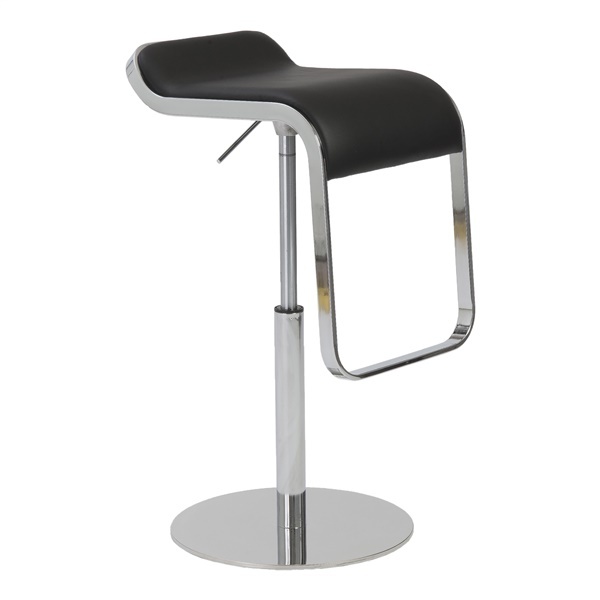 Quite fine as a high Counter Stool, the handle provides gas-lift functionality with only a touch; having a range of 25"-35" in adjustable height. Freddy's choice of seat colors include Black, Brown, Taupe, Gray or White.